The need to identify the connections between human actions and their impact on the environment is becoming more and more apparent. In 2018, we’ve witnessed mega hurricanes and disastrous wildfires, the hottest year on record and dozens of animals threatened by extinction. However, this story is not about the doom and gloom or the environmental challenges facing the planet and society. Rather, it is a story about resiliency, leadership and accountability. A few years ago, DaVita pursued a partnership with the Colorado Department of Public Health and Environment (CDPHE), taking interest in its Environmental Leadership Program (ELP). The ELP is a statewide environmental recognition and reward program compiled of organizations that go beyond environmental compliance with state and federal regulations and are committed to continual environmental improvement. DaVita was awarded the Bronze level award by the ELP in 2015–stating our initial commitment to the program and continuous improvement in sustainability. In 2017, we were awarded the Silver level award and committed to create an Environmental Management System (EMS). An EMS is a formal set of processes and practices that enable organizations to reduce their environmental impact and increase operating efficiency. It’s essentially a system that holds an organization accountable for its environmental and sustainability programs, impacts and projects. The ELP requires a Silver-level company to create and implement an EMS within three years of its Silver designation in order to be awarded Gold. At DaVita, we strongly considered two of our core values and its alignment with this program–Accountability and Continuous Improvement. Instead of waiting three full years to implement the EMS, we committed to achieving it within one year. In the fall of 2018, we accomplished the requirements for an EMS two years early and were named a Gold Leader. DaVita’s sustainability and environmental team, known as Village Green, spent months documenting systems, fine tuning data and creating a framework to monitor and measure progress in achieving our 2020 environmental goals. From how our waste is recycled, to monitoring outliers in water and energy data, our EMS created best practices to ensure operational excellence. What I find most compelling about the ELP program is that companies in Colorado are not required to participate in this program or initiative but many still do—nearly 200, in fact. It is phenomenal to see the leadership of organizations, small and large, committing to a more sustainable Colorado and world. Now, more than ever, this leadership is needed, if not required, in order to mitigate the negative impacts on the environment. I am proud to be part of a Village that takes its commitment to community, small and large, to heart. We are honored to have been named a Gold Leader by the State of Colorado alongside other companies committed to resiliency, leadership and accountability. And we look forward to seeing all that we can do together in 2019 and beyond! The award period for this year’s ELP is already open and I encourage your company to consider investing in being a force for change in our Colorado environment. Visit https://www.colorado.gov/pacific/cdphe/apply-elp-membership to learn more. Casey is a sustainability professional that is working to help DaVita on its journey to be the “Greenest Healthcare Community the World Has Ever Seen." 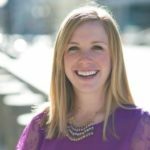 She is based in Denver, Colorado at DaVita’s World Headquarters and is currently working on engaging the entire organization in meeting the 2020 sustainability goals.